June is Motor Neurone Disease (MND) Awareness Month. I’ve been talking to my colleague Carly, who has been fundraising for the MND Association since her late Stepdad Andy was diagnosed with MND in 2010. Together, we’ve been looking at the evidence from Cochrane reviews and seeing what information is available to those making decisions about treatments to help them manage the symptoms of MND and possibly prolong their lives. Amyotrophic lateral sclerosis (ALS) is the commonest form of motor neurone disease (MND) and the terms are often used interchangeably. It’s a progressive disease that attacks the nerves in the brain and spinal cord. Messages gradually stop reaching muscles; MND can affect lots of basic functions such as walking, talking and breathing, and failure of the respiratory muscles is a common cause of death. Supporting breathing with mechanical ventilation could be really important to people with MND, potentially improving quality of life and survival. Management of the symptoms of MND has changed a lot over the past decade and the use of non-invasive ventilation (NIV), using a mask connected to an air pump machine, an alternative to tracheostomy ventilation, has increased. We need good evidence so that people know about the potential risks and benefits of the different types of mechanical ventilation. 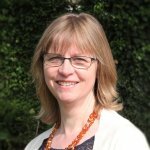 Carly told me that Andy only tried NIV a week before he died, hated it and decided not to use it, but new evidence shows that it may be a really good option for some people, especially those who don’t have severe problems with ‘bulbar function’ – in other words, the muscles used for chewing, swallowing and talking are still working. The evidence comes from a review from the Cochrane Neuromuscular Disease Group, first published in 2009 and now updated. Disappointingly, the search for new randomised controlled trials found none to add and there’s little evidence to go on, currently just a single randomised trial of 41 people, but it has been done well so it tells us something useful. The trial compared NIV with standard care and found that it significantly prolongs survival and improves or maintains quality of life in people with MND/ALS who have normal or only moderately impaired bulbar function. Among those whose ability to chew, swallow and speak was little affected, the ones having NIV lived on average 216 days compared to 11 days in the standard care group and they also had better quality of life. For those with poor bulbar function, NIV did not prolong their lives and quality of life only seemed to be improved in terms of sleep-related symptoms. This trial’s results are in line with the findings of non-randomised studies which have reported that people with MND who start and can tolerate NIV when their breathing is first problematic enjoy a better quality of life and live longer. 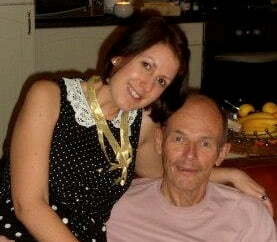 You can see a video here of an interview with Una, whose husband Bill has MND and uses NIV. Many people with MND get to a point where swallowing becomes really difficult, and then ‘tube feeding’ may be offered. A tube can be put through the abdominal wall into the stomach; this is also known as percutaneous endoscopic gastrostomy, or PEG. Are people who take this option better nourished than those who carry on eating and do they live longer, or have a better quality of life? No randomised trials were found for a review looking at this. The review team did summarise some other types of studies, which aren’t such strong evidence but indicate that it may help people to be better nourished and possibly to live a little longer, but we can’t be at all certain. “A never-ending flow of saliva” – what can be done? This was a really miserable problem for Andy, if only in the last weeks. “Mum said they had to resort to stuffing a tea towel under his chin to stop the never-ending flow and to hold his head up!” Is there any help for this? A review found just one small, but well-designed, randomised trial, which found that botulinum toxin type B injected once into salivary glands in people with MND had benefits for four weeks, and no harmful effects were reported. The reviewers call for more research on treatments for this problem. 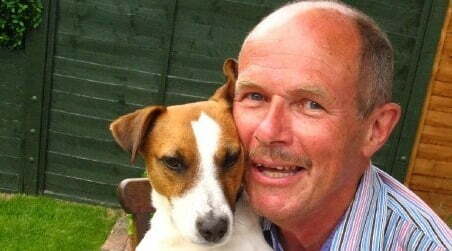 Andy was fortunate that he didn’t suffer much pain, but many people with MND do, so which pain-killing drugs work best and which might have unwanted effects? We simply don’t know. A review looking for randomised trials on this found none at all, so there is no good evidence to help people choose between one treatment and another. So often, reviews like these highlight huge gaps in the evidence, gaps which really do need filling if patients and health professionals are to be able to make informed choices about treatment. The team looking for trials on NIV note that there are two randomized trials under way looking at early NIV for people with MND who have mild respiratory symptoms, so hopefully these might appear in the next version of the review. The review on treatments for excess saliva has a helpful discussion about considerations for future research. Throughout June the MND Association is publishing a blog a day on research and you can find those here. Andy spent a year taking part in a drug trial and Carly’s Mum recalls it really seemed to help him stay positive. Only when the trial ended and he discovered he’d been taking a placebo (fake) medicine was there a noticeable deterioration in his condition. 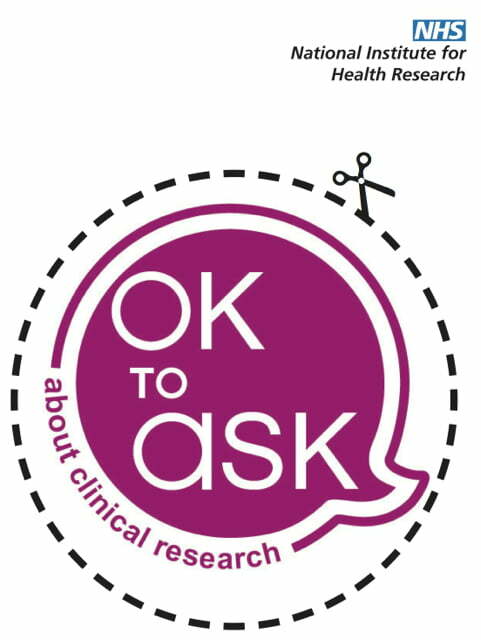 The National Institute for Health Research is campaigning to let people know that it’s ‘OK to ask’ your doctor or other health professional about clinical research and whether taking part in a trial might be right for you or your loved one; you can read more here. There are lots of Cochrane reviews relevant to people with MND and you can find summaries of them here or see what the Cochrane Neuromuscular Disease Group is up to by visiting their website here. You can see the full list of their reviews and there’s a page on ways you can get involved too. With the help of people who really know what living with MND is like, we can try to make sure future research is useful and aims to answer the questions that matter most. My thanks to Carly and her Mum for talking to me about Andy and allowing me to share his experiences in this blog. Radunovic A, Annane D, Rafiq MK, Mustfa N. Mechanical ventilation for amyotrophic lateral sclerosis/motor neuron disease. Cochrane Database of Systematic Reviews 2013, Issue 3. Art. No. : CD004427. DOI: 10.1002/14651858.CD004427.pub3. Katzberg HD, Benatar M. Enteral tube feeding for amyotrophic lateral sclerosis/motor neuron disease. Cochrane Database of Systematic Reviews 2011, Issue 1. Art. No. : CD004030. DOI: 10.1002/14651858.CD004030.pub3. Young CA, Ellis C, Johnson J, Sathasivam S, Pih N. Treatment for sialorrhea (excessive saliva) in people with motor neuron disease/amyotrophic lateral sclerosis. Cochrane Database of Systematic Reviews 2011, Issue 5. Art. No. : CD006981. DOI: 10.1002/14651858.CD006981.pub2. Brettschneider J, Kurent J, Ludolph A. Drug therapy for pain in amyotrophic lateral sclerosis or motor neuron disease. Cochrane Database of Systematic Reviews 2013, Issue 6. Art. No. : CD005226. DOI: 10.1002/14651858.CD005226.pub3. 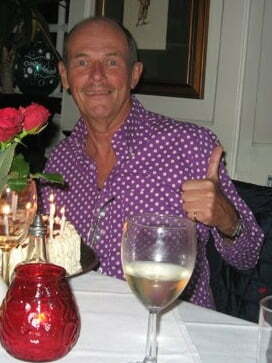 I have only just had confirmation that I have MND after 6 months of tests. The most difficult part for me has been dysphagia and dysarthria, the former being the most destructive as being used to social eating has come as a hard blow. I survive now on liquid meals like complan and nutritious juices and it dominates my day as I am never hungry but worry if I’ve ever consumed enough to survive. Link this to incredibly thick saliva and phlegm that never leaves my throat and you have a perfect storm of difficult issues which is thoroughly depressing. That sounds really hard Robert… We think it’s really important that we hear and share people’s stories alongside the evidence. Sometimes it helps to highlight where there are gaps. Wishing you all the best.